There is some good news and some bad news this week for patients with malignant peritoneal mesothelioma, an aggressive form of cancer that occurs on the lining of the abdomen. Both come from a new article on peritoneal cancer published in the International Journal of Clinical Oncology. The good news is that most patients with peritoneal mesothelioma and other forms of cancer on the peritoneal membrane respond well to the multi-modal treatment regimen that has become the standard-of-care for this form of the asbestos cancer. A combination of cytoreductive surgery (CRS) and heated intraperitoneal chemotherapy (HIPEC) allows most peritoneal cancer patients to “achieve long-term disease-free survival”, according to the study from the National Cancer Centre Singapore. But the more disturbing news is that more than a quarter of patients who receive this treatment for mesothelioma or another type of peritoneal malignancy may relapse early—and doctors don’t know why. CRS/HIPEC is widely credited with extending the lives of people with peritoneal mesothelioma and other types of peritoneal cancer in recent years. It delivers a one-two punch to cancer by removing as much of the tumor(s) as possible (cytoreduction) and then rinsing the abdomen with powerful chemotherapy drugs in order to kill any mesothelioma cells that might have been left behind (intraperitoneal chemotherapy). Heating the solution helps drive it even deeper into the tissues for maximum effectiveness. In their new study, the oncology researchers in Singapore examined the cases of 144 patients with either mesothelioma or another type of peritoneal malignancy treated with CRS/HIPEC at their center between 2001 and 2016. They found that 27 percent of the CRS/HIPEC patients experienced a recurrence of their cancer within a year. Which type of cancer they had and whether or not they underwent additional systemic chemotherapy after the CRS/HIPEC treatment appeared to have the biggest bearing on early recurrence (ER). People with appendiceal cancer had lower odds of ER than those with colorectal cancer, which had the highest. People with peritoneal mesothelioma fell somewhere in the middle. Among all the patients, those who had additional chemotherapy afterward lived the longest. “Better patient selection and the administration of adjuvant chemotherapy may help to reduce early recurrence,” the researchers conclude. Like all forms of mesothelioma, peritoneal mesothelioma can be difficult to treat and may not respond to standard cancer therapies. CRS/HIPEC is considered to be the most promising surgical option for most patients, but it is not the only option and it is not for every patient. Depending on the extent of the cancer, cytoreductive surgery may not even be possible. Even in the best circumstances, it is still a large operation requiring significant recovery time. The world’s longest-living mesothelioma survivor, Paul Kraus, was told he had just months to live when he was diagnosed with peritoneal mesothelioma more than 20 years ago. Kraus chose to combat his cancer with radical dietary and lifestyle changes. 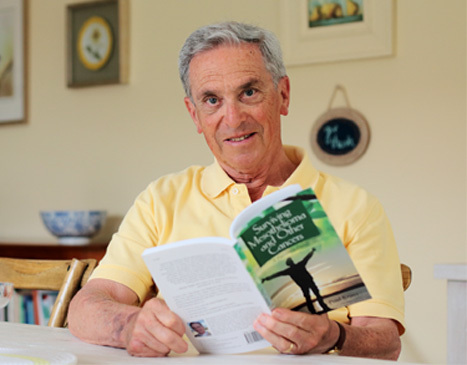 His experience is now the subject of Surviving Mesothelioma and Other Cancers, the leading patient’s guide to malignant mesothelioma.